Have you ever had the idea in your head that you don’t like a certain food, only to give it another chance years later and realize that you were wrong? Well, for the longest time, bread pudding totally grossed me out. I mean, why would I want to eat sweetened, soggy bread? 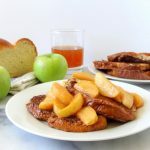 But then earlier this year, I fell head over heels in love with French toast casserole, and after it came to my attention that there is quite a bit of conceptual overlap between French toast casserole and bread pudding, I decided to give the latter another try. While I’m still a little iffy about the ones that are visibly sodden and gush liquid when you cut into them, I have officially turned over a new leaf with bread pudding! One of the things that helped convert me into a bread pudding fan was the sheer simplicity. 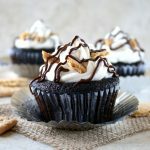 A dessert that I can throw together in a matter of minutes and make as many or as few servings as I want? Yes, please! 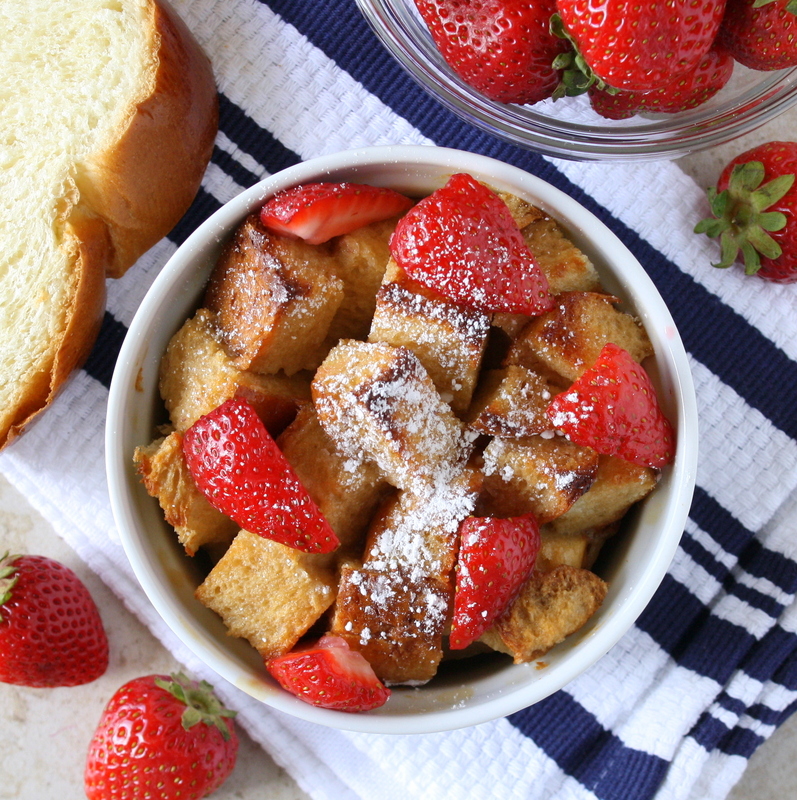 I made this strawberry shortcake bread pudding even simpler (and dairy-free!) 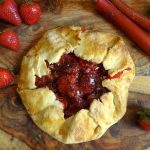 by using some melted So Delicious Dairy Free® Coconut Milk Simply Strawberry frozen dessert—that way, I didn’t need to add milk, sugar, or extra strawberry flavoring. While many bread pudding recipes call for milk or cream, I’ve found that using melted frozen desserts creates a richer, more indulgent texture, plus it imbues the pudding with additional flavor. 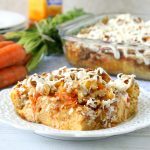 And since So Delicious Dairy Free® frozen desserts don’t contain any artificial flavors or colors or any high-fructose corn syrup, this bread pudding is an indulgence we can all feel good about! 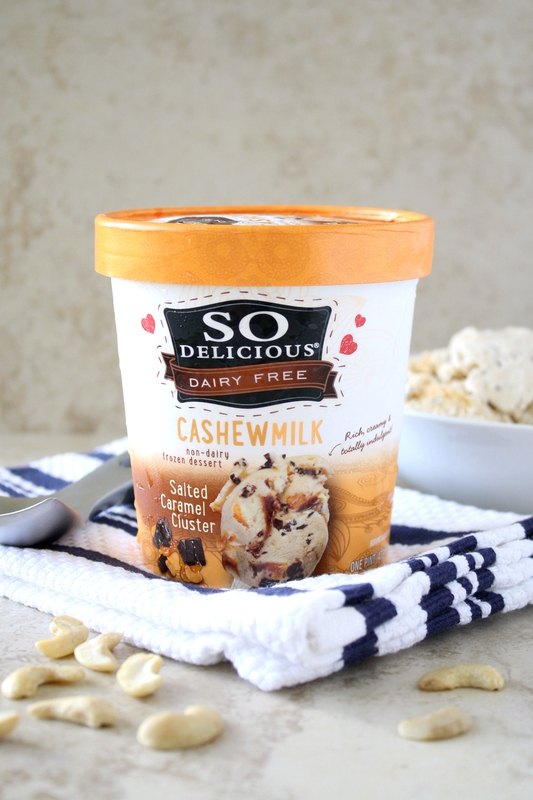 In case you’re wondering where to find them, there’s no need to seek out a specialty store—you can just stop by your local Walmart for a wide selection of So Delicious Dairy Free® products. I chose to use Coconut Milk Simply Strawberry so that I could take advantage of the end of strawberry season and add fresh berries on top of the pudding, but you can use any flavor you like (and then garnish as you see fit). In fact, I’d be remiss in not mentioning the Cashew Milk Salted Caramel Cluster variety, which sommmehow also made it into my cart. That stuff is dangerously delicious, no joke. It doesn’t matter whether you avoid dairy like the plague or wouldn’t ever dream of giving it up, you’ll be fighting over who gets the last scoop! As we head into the last few weeks of summer—where did the time go? 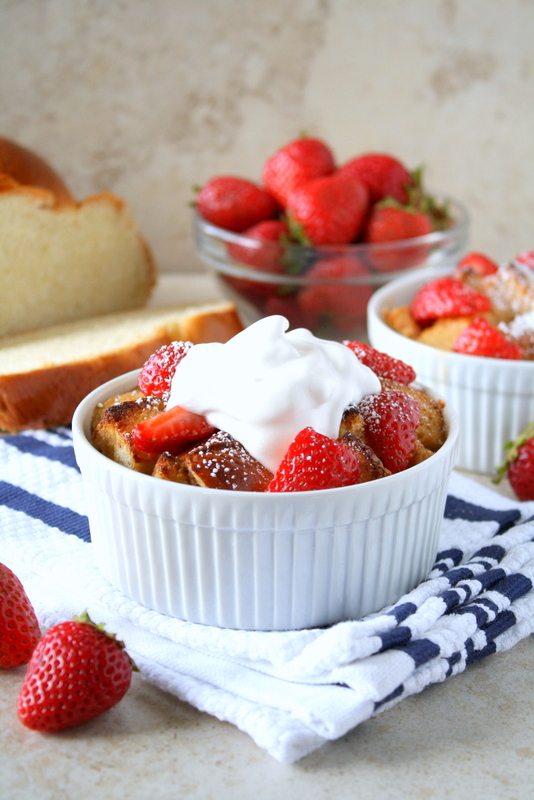 !—I hope you’ll take a few minutes to whip up a few of these strawberry shortcake bread puddings! It’s a great way to slow down, take a breather, and treat yourself. After all, isn’t that what summer’s all about? How are you planning to make the most of the rest of summer? 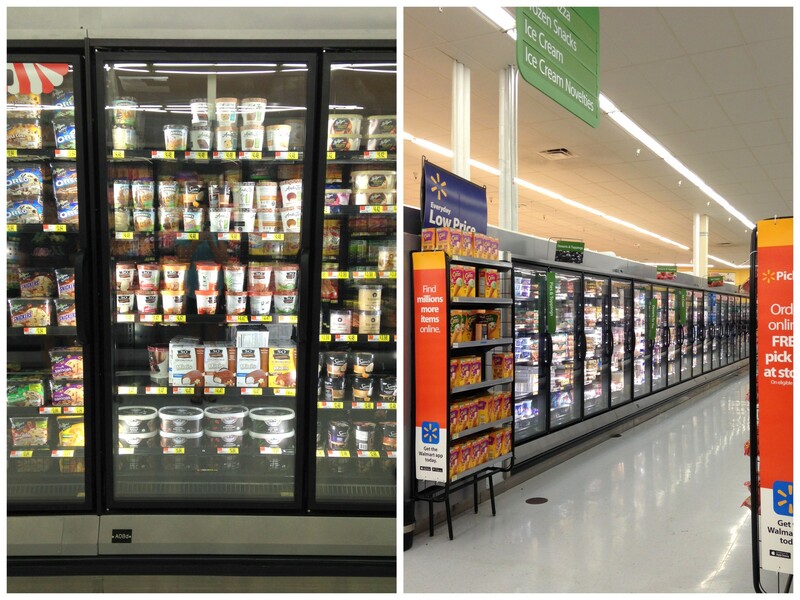 And if you’ve tried So Delicious Dairy Free® frozen desserts, which ones are your favorites? Preheat the oven to 350 degrees. Coat 2 10-ounces ramekins with baking spray. Fill the ramekins with the challah cubes, making sure they are fitted snuggly. Mix together the melted So Delicious Dairy Free® Coconut Milk Simply Strawberry frozen dessert, beaten eggs, and vanilla extract. Pour the mixture over the challah cubes in the ramekins, making sure that all of the exposed area has been coated. Place the ramekins on a rimmed baking sheet and bake for 20-25 minutes, or until the edges of the challah have browned slightly. Let the bread puddings cool for 10 minutes. Add the strawberries and top with powdered sugar and/or whipped coconut cream if desired. 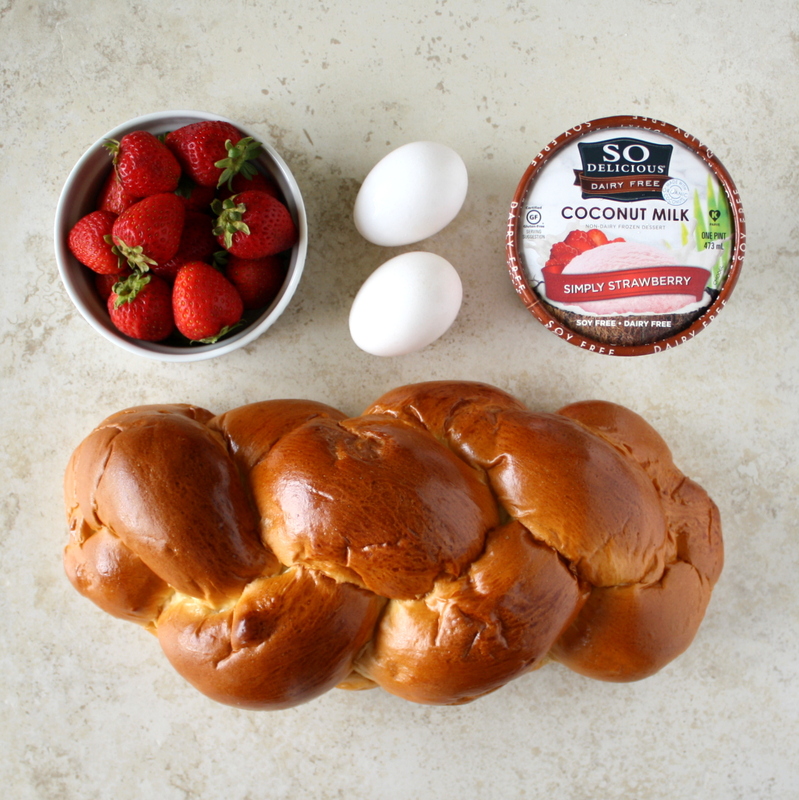 Traditional challah usually does not contain dairy, but check the ingredient list to be sure. Making your own whipped coconut cream is simple but requires a little planning ahead, because the coconut cream has to be fully chilled. Place an unopened can (14 ounces) of coconut cream in the refrigerator the night before you plan to serve the bread pudding. The next day, scoop out the chilled solid cream from the can, leaving behind the liquid at the bottom (you won’t need this). Place the cream in the bowl of a mixer and mix until smooth (about 20-30 seconds). Add 1/2 cup + 2 tablespoons powdered sugar and 3/4 teaspoon vanilla extract and mix until fully incorporated. This will yield more than you need for the bread puddings, but it will keep in the refrigerator for several days. Wow that looks delicious! Definitely need to try this. I love bread puddings! I’m glad I’m not the only one who feels that way! I hope that if you try this, it’ll help you see bread pudding in a new light! 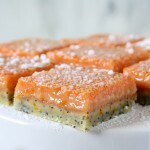 This dessert looks delicious, Mara, and so easy!! Love that you used the melted frozen dessert to simplify the prep even more! OMG. Using a melted frozen dessert for bread pudding is GENIUS! *Definitely* have to try this one before summer is out. Oh this looks amazing! I do love bread pudding but never even had it until I was an adult. Not certain if I would have liked it as a kid. 🙂 I’ll eat a double helping now to make up for lost time! I like your way of thinking! Thanks for stopping by, Kathy! Mara- what a great recipe! I love the simplicity of the melted freezer treat😀 And the versatility of using your favorite flavors! Thanks, Michelle! Yes, the flavor possibilities are endless – I hope you get a chance to try it! Haha yes, I know! I try to share healthier recipes as well, but people don’t seem to get as excited about those. Oh well…it’s all about balance, right? Mmm, so wonderful! And great when we have dairy-free guests for dinner! This sounds delish! 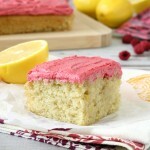 I might have to alter the recipe a bit due to availability of ingredients, but I’m definitely going to try this. Thanks, Jess! This recipe is extremely versatile, so I imagine whatever changes you make will be just as tasty. Let me know how it goes! This looks so good! A new take on heavy bread pudding! This looks so delicious! 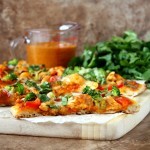 I am getting so I really like the taste of coconut milk in recipes, so I would like to give this a try! Sounds like this is right up your alley! I didn’t actually notice the coconut milk flavor in the finished product, but I did taste it when I was eating some out of the carton (for quality assurance purposes, of course!). Let me know how it goes if you try this! I love bread pudding and this looks perfect! What a genius way to make bread pudding…I’ve never thought about using melted ice cream! I can see how this would lend such an incredible flavor, though. 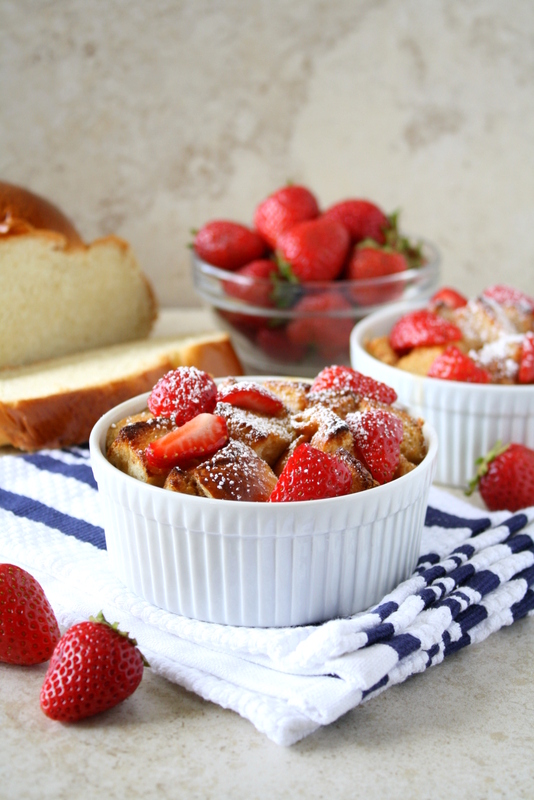 And strawberry bread pudding? What a unique flavor…and perfect for summer! Thanks for sharing this one!! 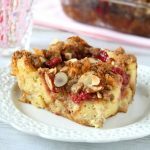 I so LOVE your use of melted So Delicious Dairy Free® Coconut Milk Simply Strawberry frozen dessert instead of milk/cream to make this bread pudding! 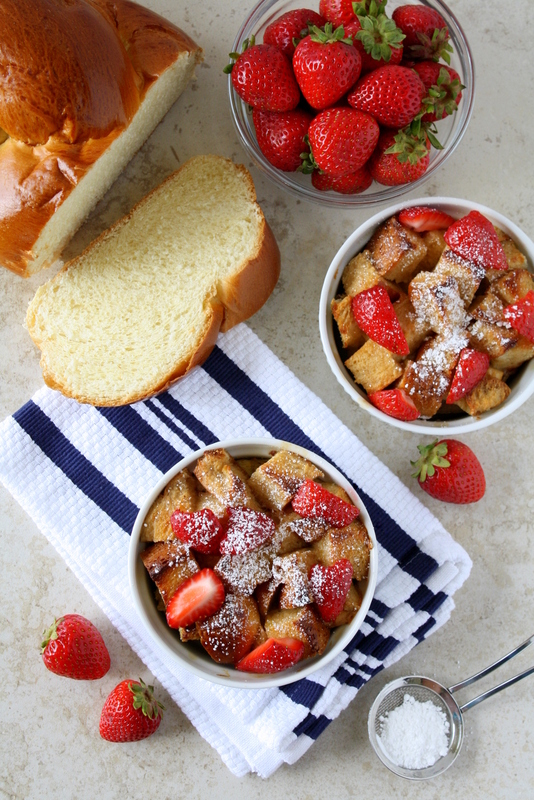 I’m not a huge fan of bread pudding – but this bread pudding I would devour! Oh, wow. This is such a killer recipe, its sounds awesome with the ice cream and the strawberries! Yum! Thanks so much! I love it when delicious and easy coincide.